The TD-2700F-X08 is capable of monitoring up to eight tyres and, should you need more, it’s expandable to up to 36 tyres total. The system monitors more than just pressure, with tyre temperatures also displayed on the small dash-mounted screen. This is handy for knowing if your tyre is aligned well, because a misaligned tyre will rub and increase in temperature quickly. Setting it all up was a bit finicky, as I chose to mount the supplied SecureFit Rings initially, because I knew I was going to see sand and feared losing a monitor. The SecureFit Rings are a gratis extra that lock the monitors to your valve stems by way of a small screw. My fear was misplaced, as I also ran them without the rings in some difficult circumstances without incident. I took our set on our 9,000km Great Australian Bight expedition, using the system for at least half of the trip. This included the three or more times when I buried the Landcruiser to its axles in the sand, numerous hours bouncing along corrugations and even some time in the sea during an unexpected beach recovery. The results were flawless. 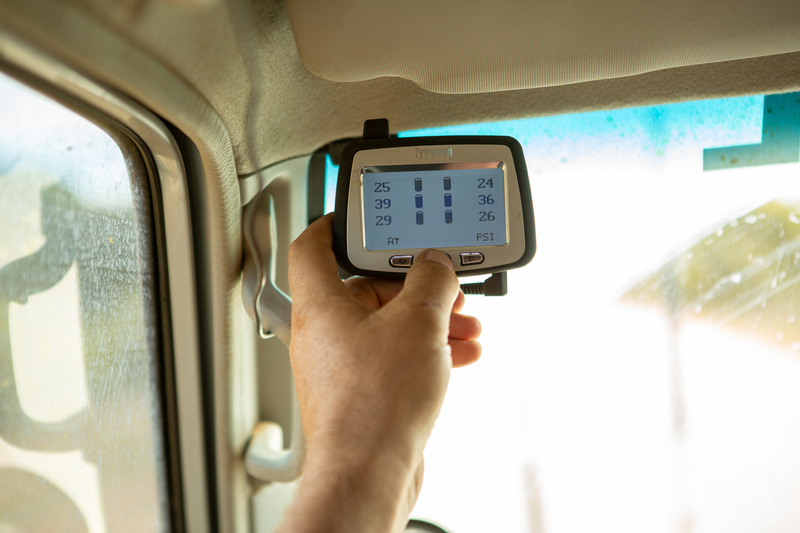 With the relay placed in the rear of the LandCruiser and the monitors attached to the wheels on the LandCruiser and Zone RV Expedition Camper, I had clear readings whenever the system was on. Unfortunately, and unexpectedly, I did not get a puncture to test the systems’ alarms, but trust they would work. I say this as the pressures and temperatures would vary with speed, road conditions and time driving, with as much as 8psi increases from cold mornings to mid-afternoon. The programming and assembly took a bit of time but once I was familiar with how it worked, it was intuitive. One downside is the head unit requires a constant power supply, meaning one 12V cigarette socket was always taken up. Okay if you have a well set-up car, but for those of us with only a couple of sockets up front, it is a small frustration. 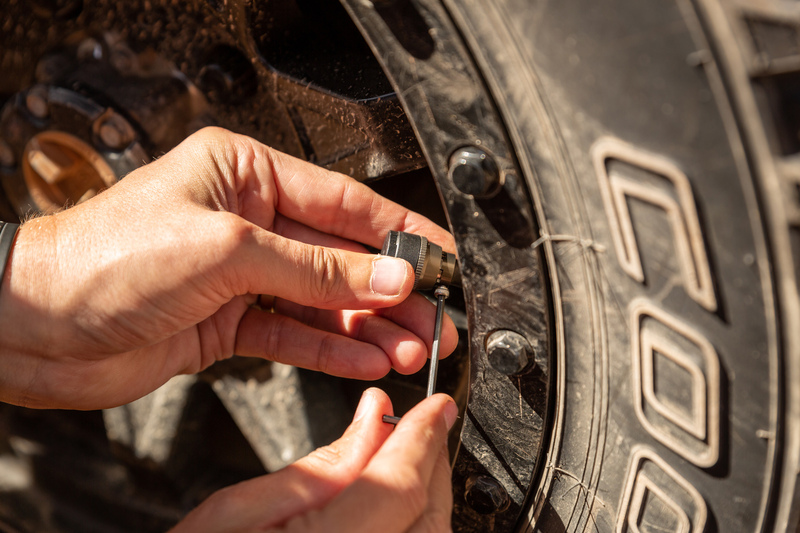 Although the outlay is steep at $649 for a six wheel system or $799 for an eight wheel system (as tested), the savings could be real for those of us with expensive tyres. Anyone that does long drives and sees regular punctures turn into torn tyres will appreciate the savings, I am sure.